In September 1832, Joseph and Emma Smith and their sixteen-month-old daughter, Julia, moved from the Johnson farm in Hiram, Ohio, back to Kirtland. There they moved into the general store owned by Newel K. Whitney, where they would live for more than a year. The Smith family lived on the second floor of the store and part of the first floor that was not used for business. Joseph and Emma’s son, Joseph Smith III, was born while the family lived in this store. The Prophet also received many revelations there. “With the sword and by bloodshed the inhabitants of the earth shall mourn; and with famine, and plague, and earthquake, and the thunder of heaven, and the fierce and vivid lightning also, shall the inhabitants of the earth be made to feel the wrath, and indignation, and chastening hand of an Almighty God, until the consumption decreed hath made a full end of all nations. … Wherefore, stand ye in holy places, and be not moved, until the day of the Lord come; for behold, it cometh quickly, saith the Lord” (D&C 87:6, 8). Each high priest “bowed down before the Lord” and then spoke of his feelings and determination to keep the commandments of God.3 Shortly thereafter, the Prophet began to receive the revelation from God that would later become section 88 of the Doctrine and Covenants. This revelation contains some of the scriptures’ most detailed prophecies about the coming of the Lord and the establishment of a thousand-year period of peace (see D&C 88:86–116). Through the Prophet Joseph Smith, the Lord revealed many prophecies concerning the Second Coming, the Millennium, and the turbulent time that will precede these events. This great outpouring of revelation is a testimony that Joseph Smith was truly a seer raised up by God. As the Book of Mormon testifies, “A seer can know of things which are past, and also of things which are to come, and by [him] shall all things be revealed, or, rather, shall secret things be made manifest, and hidden things shall come to light, and things which are not known shall be made known” (Mosiah 8:17). The signs of the Savior’s coming are being fulfilled; the faithful will recognize these signs and have peace in perilous times. “Dearly and beloved brethren, we see that perilous times have come, as was testified of [see 2 Timothy 3:1]. We may look, then, with most perfect assurance, for the fulfillment of all those things that have been written, and with more confidence than ever before, lift up our eyes to the luminary of day, and say in our hearts, Soon thou wilt veil thy blushing face. He that said, ‘Let there be light,’ and there was light [see Genesis 1:3], hath spoken this word. And again, Thou moon, thou dimmer light, thou luminary of night, shalt turn to blood. “The earth will soon be reaped—that is, the wicked must soon be destroyed from off the face of the earth, for the Lord hath spoken it, and who can stay the hand of the Lord, or who is there that can measure arms with the Almighty, for at his commands the heavens and the earth must pass away. The day is fast hastening on when the restoration of all things shall be fulfilled, which all the holy prophets have prophesied of, even unto the gathering in of the house of Israel. 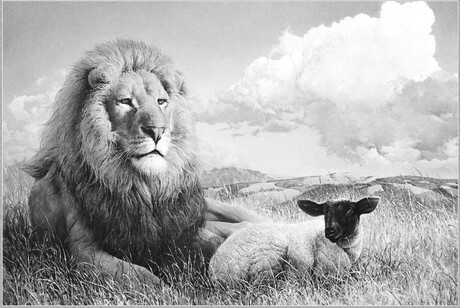 Then shall come to pass that the lion shall lie down with the lamb, etc. The Lord will not come until all things are fulfilled in preparation for His coming. Those who are wise and faithful will be prepared when the Lord comes again. In December 1830, the Prophet Joseph Smith said the following in a letter to members of the Church in Colesville, New York: “May you all be faithful and wait for the time of our Lord, for his appearing is nigh at hand. “‘But [of] the time and the season, brethren, ye have no need that I write unto you, for ye yourselves perfectly know that the day of the Lord so cometh as a thief in the night: for when they shall say peace and safety, then sudden destruction cometh upon them, as travail upon a woman, but they shall not escape. “‘But ye, brethren, are not in darkness. … Therefore let us not sleep as do others, but let us watch and be sober, for they that sleep, sleep in the night, and they that be drunken are drunken in the night. “Wherefore, comfort one another, even as ye also do, for perilous times are at hand. … Peace is taken from the earth in part, and it will soon be in whole; yea, destructions are at our doors, and they soon will be in the houses of the wicked, and they that know not God. “Yea, lift up your heads and rejoice, for your redemption draweth nigh. We are the most favored people that ever have been from the foundation of the world, if we remain faithful in keeping the commandments of our God. Yea, even Enoch, the seventh from Adam, beheld our day and rejoiced [see Moses 7:65–67], and the prophets from that day forth have prophesied of the Second Coming of our Lord and Savior, Jesus Christ, and rejoiced at the day of rest of the Saints; yea, and the Apostle of our Savior also did rejoice in his appearance in a cloud with the host of heaven, to dwell with man on the earth a thousand years [see Revelation 1:7]. Therefore we have reason to rejoice. “Behold the prophecies of the Book of Mormon are fulfilling as fast as time can bring it about. The Spirit of the living God is upon me; therefore, who will say that I shall not prophesy. The time is soon at hand that we shall have to flee whithersoever the Lord will, for safety. Fear not those who are making you an offender for a word [see Isaiah 29:20–21], but be faithful in witnessing unto a crooked and a perverse generation that the day of the coming of our Lord and Savior is at hand. Yea, prepare ye the way of the Lord, make straight his path [see Matthew 3:3]. “Who will shrink because of offenses, for offenses must come, but woe to them by whom they come, for the rock must fall on them and grind them to powder [see Matthew 18:7; 21:43–44]. For the fulness of the Gentiles is come in, and woe will be unto them if they do not repent and be baptized in the name of our Lord and Savior, Jesus Christ, for the remission of their sins, and come in at the strait gate and be numbered with the house of Israel. For God will not always be mocked, and not pour out his wrath upon those that blaspheme his holy name, for the sword, famines, and destruction will soon overtake them in their wild career, for God will avenge, and pour out his vials of wrath, and save his elect [see Revelation 16:1]. The Millennium will be a time of peace when the Savior will reign over the earth. After the Millennium, the earth will be changed into a sanctified, celestial state. Read the first two full paragraphs on page 250, and note the high priests’ preparation to receive the revelation that is now section 88 of the Doctrine and Covenants. Think about how this account applies to you in your efforts to understand the prophecies of the Second Coming. Read the Prophet Joseph Smith’s prophecies of the perilous times before the coming of the Lord (pages 251–53). How can we remain at peace even during such trials? Why do you think we need to know and understand the signs of the Second Coming? What signs of the Second Coming have been or are being fulfilled? Read the second full paragraph on page 253 and the third paragraph on page 255. What does the phrase “as a thief in the night” suggest about the Lord’s coming? Why do you think the day of the Lord will not overtake the children of the light as a thief in the night? How can we prepare for the Second Coming of the Savior? (For some examples, see pages 254–56.) Think about how you will feel to see the Savior if you are prepared for His coming. As we prepare for the Second Coming, how can we avoid feelings of fear or alarm? Review Joseph Smith’s prophecies about the Millennium (pages 256–58). What are your thoughts and feelings as you contemplate this period of time? An upstairs room in the restored Newel K. Whitney store. 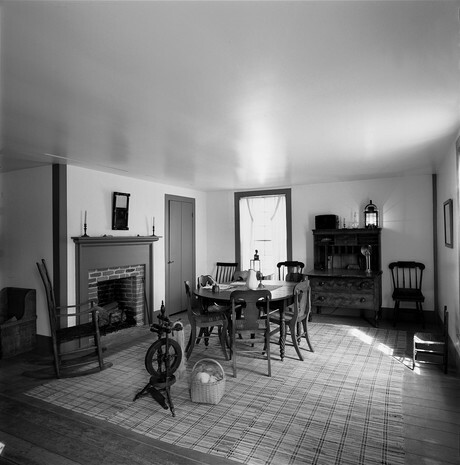 Joseph and Emma Smith lived in this store for more than a year, and the Prophet received many revelations here, including revelations about the coming of the Lord. History of the Church, 1:301; from “History of the Church” (manuscript), book A-1, p. 244, Church Archives, The Church of Jesus Christ of Latter-day Saints, Salt Lake City, Utah. Doctrine and Covenants 130:13; instructions given by Joseph Smith on Apr. 2, 1843, in Ramus, Illinois. Kirtland High Council, Minutes Dec. 1832–Nov. 1837, entry for Dec. 27, 1832, pp. 3–4, reported by Frederick G. Williams, Church Archives. History of the Church, 3:331; from “Extract, from the Private Journal of Joseph Smith Jr.,” Times and Seasons, Nov. 1839, p. 9. History of the Church, 3:390; from a discourse given by Joseph Smith about July 1839 in Commerce, Illinois; reported by Willard Richards. History of the Church, 3:291; punctuation modernized; from a letter from Joseph Smith and others to Edward Partridge and the Church, Mar. 20, 1839, Liberty Jail, Liberty, Missouri. Letter from Joseph Smith and John Whitmer to the Saints in Colesville, New York, Aug. 20, 1830, Harmony, Pennsylvania; in Newel Knight, Autobiography and Journal, ca. 1846–47, pp. 133–36, Church Archives. History of the Church, 6:364; from a discourse given by Joseph Smith on May 12, 1844, in Nauvoo, Illinois; reported by Thomas Bullock. History of the Church, 3:286; from a letter from Joseph Smith to Presendia Huntington Buell, Mar. 15, 1839, Liberty Jail, Liberty, Missouri; Sister Buell’s last name is incorrectly spelled “Bull” in History of the Church. History of the Church, 6:254; from a discourse given by Joseph Smith on Mar. 10, 1844, in Nauvoo, Illinois; reported by Wilford Woodruff; see also appendix, page 562, item 3. History of the Church, 5:337; from a discourse given by Joseph Smith on Apr. 6, 1843, in Nauvoo, Illinois; reported by Willard Richards. History of the Church, 4:11; punctuation modernized; from instructions given by Joseph Smith on Sept. 29, 1839, in Commerce, Illinois; reported by James Mulholland. History of the Church, 5:336–37; from a discourse given by Joseph Smith on Apr. 6, 1843, in Nauvoo, Illinois; reported by Willard Richards. History of the Church, 6:254; from a discourse given by Joseph Smith on Mar. 10, 1844, in Nauvoo, Illinois; reported by Wilford Woodruff. History of the Church, 5:291; from a letter from Joseph Smith to the editor of the Times and Seasons, Feb. 28, 1843, Nauvoo, Illinois, published in Times and Seasons, Mar. 1, 1843, p. 113. History of the Church, 1:442; from a letter from Joseph Smith to Moses Nickerson, Nov. 19, 1833, Kirtland, Ohio. History of the Church, 5:65; from “The Government of God,” an editorial published in Times and Seasons, July 15, 1842, p. 857; Joseph Smith was the editor of the periodical. History of the Church, 6:93; from Joseph Smith’s appeal to the state of Vermont, Nov. 29, 1843, Nauvoo, Illinois, published as General Joseph Smith’s Appeal to the Green Mountain Boys (1843), p. 7. Letter from Joseph Smith and others to Hezekiah Peck, Aug. 31, 1835, Kirtland, Ohio; in “The Book of John Whitmer,” p. 80, Community of Christ Archives, Independence, Missouri; copy of “The Book of John Whitmer” in Church Archives. Letter from Joseph Smith and John Whitmer to the Saints in Colesville, New York, Dec. 2, 1830, Fayette, New York; in Newel Knight, Autobiography and Journal, ca. 1846–47, pp. 198–206, Church Archives. History of the Church, 5:61, 63–65; punctuation modernized; from “The Government of God,” an editorial published in Times and Seasons, July 15, 1842, pp. 855–57; Joseph Smith was the editor of the periodical. Quoted by William P. McIntire, reporting a discourse given by Joseph Smith in early 1841 in Nauvoo, Illinois; William Patterson McIntire, Notebook 1840–45, Church Archives. History of the Church, 5:279; from a Joseph Smith journal entry, Feb. 18, 1843, Nauvoo, Illinois. Quoted by William Clayton, reporting an undated discourse given by Joseph Smith in Nauvoo, Illinois; in L. John Nuttall, “Extracts from William Clayton’s Private Book,” p. 8, Journals of L. John Nuttall, 1857–1904, L. Tom Perry Special Collections, Brigham Young University, Provo, Utah; copy in Church Archives. Doctrine and Covenants 130:9; instructions given by Joseph Smith on Apr. 2, 1843, in Ramus, Illinois.